Concussions occur as the result of a traumatic blow to the head that causes the head and brain to move rapidly back and forth in a whiplash-like fashion. The sudden movement causes the brain to bounce and twist around inside the skull, stretching and damaging the delicate cells and structures inside your brain. This damage can cause physical and chemical changes in your brain to affect how it functions. While medical professionals usually describe concussions as a mild form of TBI, even the mildest concussions can cause serious effects. Concussions are becoming more common in children. The number of ED visits related to concussions and TBIs rose 57 percent in children from 2001 to 2009, according to the Centers for Disease Control and Prevention (CDC). Falls were the leading cause of TBIs in youngsters, accounting for about 40 percent of all traumatic brain injuries occurring in this age group. About 300,000 TBIs occur each year as the result of sports, according to a study published in the Journal of Athletic Training. Female athletes have higher rates of concussions than do their male counterparts, according to the American Physical Therapy Association. While concussions can occur during nearly any sport, they are most common in football, wrestling, ice hockey, basketball, field hockey and lacrosse. Concussions can also happen as the result of car crashes, physical altercations, and accidental falls. No matter how they happen, concussions injure your brain to some extent and they all require time to heal. 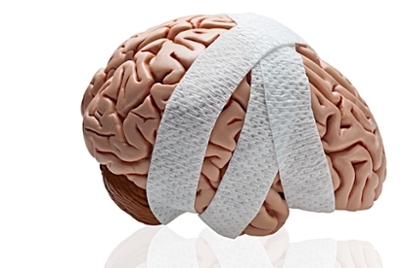 Brain injury from even the mildest concussion can have short-term and long-term effects. The effects of a concussion can be subtle and change over time. Symptoms can last for days, weeks or longer. After suffering a concussion, many people experience headache and confusion. Some people experience loss of memory and are unable to remember the event. The amnesia may or may not follow loss of consciousness. Long-term effects of concussion are rare. In fact, the vast majority of people see any symptoms resolve within a few weeks. Only about 20 percent of people might suffer from post-concussion syndrome, where they continue to experience symptoms after six weeks. However, the more concussions you get, the more likely you are to suffer long term consequences, especially if you don’t give your brain enough time to heal between injuries. To reduce the risk of short-term problems associated with concussions from turning into long-term problems, see a doctor within one to two days of a head injury, even if you or your child does not require emergency treatment.